Periwinkles in this topic are snails from the not the flowers. The common periwinkle is scientifically known as Littorina littorea. They are a species of small edible whelk or sea snail that has gills and an operculum. Periwinkles are found in many parts of the world. However, they are considered a delicacy in most African and Asian cuisines. In Nigeria, it is known as Nigerian periwinkle. It is used in several delicacies like Edikang Ikong and Afang soup in Nigeria. This delicious seafood is sumptuous to behold. This article will not only teach you how to prepare periwinkle in Nigeria though. But, you will also learn the health benefits of Nigerian periwinkle. Protein, rich in omega-3 fatty acids and very low in fat. According to the USDA National Nutrient Database for Standard Reference, raw snails, in general, are about 80% water, 15% protein, and 1.4% fat. The health benefits of Nigerian periwinkle are based on the nutrients it contains. Periwinkles contain a massive amount of Omega-3 fatty acids. Omega-3 fatty acids are a kind of polyunsaturated fat that is not produced by our body. Hence, Omega-3 is essential as the essential fatty acids. The amount of Omega-3 fatty acids in periwinkles even exceeds the daily requirement of an adult human. The benefits of consuming omega-3 fatty acids are that it improves our brain health by encouraging the development of cell membranes in the nervous system. It also helps in improving your memory. It also prevents heart diseases by reducing the risk of high blood pressure. Consumption of periwinkles will increase the amount of omega-3 fatty acid in your blood. This, lowering levels of triglycerides and LDL cholesterol in the blood. Selenium is a nutrient that fights diseases such as cancer, reproductive and heart disease. Selenium is worked together with vitamin E. Both of this vitamin and nutrient form a very powerful antioxidant that helps to prevent the aging and deterioration of tissues through oxidation. Selenium is equally vital for most of the body’s functions. It can be found in every cell of the body, which is mainly in the kidneys, liver, pancreas, and testes. Periwinkles equally contain high levels of magnesium. Magnesium plays numerous beneficial roles in the body. It is needed for over 300 enzymatic reactions, which includes the synthesis of fats, proteins and nucleic acids, neural reactions. Our bodies also need magnesium to maintain normal blood pressure, toughen bones and also keep your heart in good condition. Periwinkles are one of the highest sources of protein. They are made up of 15% protein. Protein has many important functions it performs in the body. It prevents diseases like kwashiorkor and marasmus, Which are caused by protein deficiency. Enough protein in the body can also help in the wound healing, and cell regeneration to regulate the hormones and enzymes in the body. Protein is also important in the growth and development of the body. Another health benefits of periwinkle snail are that it contains many core vitamins that is imperative to turn the body’s functioning. Such as vitamin A, vitamin E, vitamin B1, B3, B6, and B12. 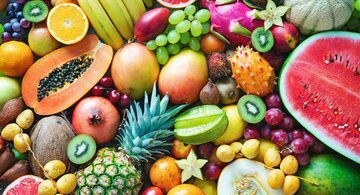 Vitamin A benefits the health of the eyes, while vitamin E can act as an antioxidant or a improve the reproductive health. Then Vitamin B1, B3, B6 and Vitamin B12 is an essential vitamin needed to prevent and control diabetes. Other B complex vitamins like niacin and folate are also present in periwinkle. Niacin has a role in the carbohydrate metabolism to produce energy, and folate is also good for pregnant women in developing a healthy fetus. Periwinkles also contain choline. Choline is a key component of the nervous system, and this nutrient is important to maintaining brain function. Periwinkle snails are also a fantastic source of iron. Iron is necessary for the formation of red blood cells and carrying energy around the body. A deficiency of iron can lead to extreme fatigue and anemia. It is also high in phosphorous. The function of phosphorus is to act as a channel of energy used for the metabolism of fats and starches. 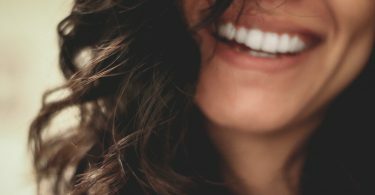 Phosphorous also supports the growth of healthy teeth and gums. Now that you have learned the health benefits of periwinkles, it is time to find out how to prepare periwinkle. 1. Purchase your periwinkle from a good food market. • Rinse your periwinkles in warm water, and ensure that the sands are out. 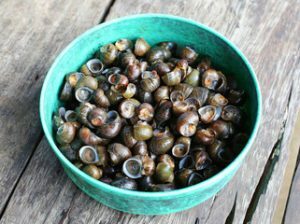 • Boil the periwinkles for s few minutes. This will help the dirt attached to the shell to go off. • Drain away the boiling water and remove the meat from the shell with a small sharp object. 3. After you have properly washed and cleaned the periwinkles, you should put them in a pot and boil for 10 minutes. Add salt, ginger, and seasonings to enhance the taste. 4. Add your periwinkles to your Afang soup Edikang Ikong or Banga Soup and enjoy. That’s it. I’m sure that now you have learned how to prepare periwinkle in Nigeria, how to wash periwinkle and the health benefits of periwinkle.